With Christmas almost upon us and the latest Doctor Who Special nearly here, we thought it would be a good time to look back on some of David Tennant's finest moments as the Doctor in his Christmas Specials. The Doctor is recovering from regeneration when Rose, her Mum and Micky are attacked by a lethal spinning Christmas Tree. As the Sycorax ship moves away, Harriet orders Torchwood to fire on them, destroying the ship. The Doctor becomes furious with Harriet, who tries to justify her actions by reminding the Doctor that he is not always there to save them. The Earth is a changed place. Everyone has seen the alien Sycorax fleet defeated by The Doctor. But will this new Doctor be willing to take Rose back on the TARDIS. In 2006 Catherine Tate joined David in the TARDIS for The Runaway Bride as Bride-to-be Donna who mysteriously vanishes as she prepares to marry her boyfriend Lance in a glittering ceremony on Christmas Eve. She suddenly appears, to her complete astonishment, in the Tardis with the Doctor. It's her wedding day, but Donna is for an unexpected surprise when she materialises inside the TARDIS. The Doctor is suitably confused too. Unbeknownst to her, Donna has gotten into a taxi driven by a robot disguised as Santa Clause. It's down to the Doctor to save her from the electronic foe. The fearsome Empress of the Racnoss descends to Earth to meet The Doctor and unveil her evil plans. The Doctor defeats the Empress of the Rachnoss in explosive style. In 2007 everyone's favourite Pop Princess Kylie Minogue joined David for some festive frolics in Voyage Of The Damned. Finding himself on a luxury starliner, the Doctor takes a trip down to earth only to discover London completely deserted. The engines are failing and the ship is drifting out of orbit. If the Doctor can't stop it sinking, then all of life on earth will be wiped out. The Doctor has saved the day once again, but can he save Astrid too? It's Christmas Eve in 1851 and Cybermen stalk the snow of Victorian London. When the Doctor arrives and starts to investigate a spate of mysterious deaths, he's surprised to meet another Doctor, and soon the two must combine forces to defeat the ruthless Miss Hartigan. But are two Doctors enough to stop the rise of the CyberKing? As the bells ring out on Christmas Day, the other Doctor brands himself a lie with the realisation that he is not the Doctor. He is in fact Jackson Lake but he did encounter the Cybermen... and why did he arrive in London with so much luggage? The Doctor and Rosita are confronted by Miss Hartigan and two Cybermen as they attempt to break into one of the workhouses. The Doctor is to be deleted and a new saviour to rise but where is Jackson Lake? The Doctor and Jackson escape to the streets as the mighty CyberKing rises from the River Thames and towers above London its time for the TARDIS to make its maiden flight. 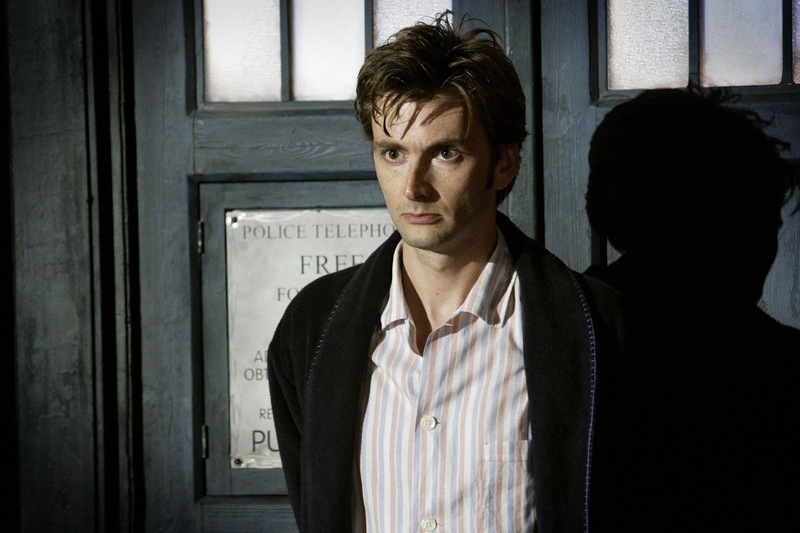 The 2009 Christmas and 2010 New Year Special saw the end of David Tennant's time in the TARDIS. It’s the Tenth Doctor's final journey - but his psychotic nemesis the Master has been reborn, on Christmas Eve. With both determined to cheat death, the battle ranges from the wastelands of London to the mysterious Immortality Gate, while the alien Ood warn of an even greater danger approaching, as a terrible shadow falls across the entire Universe. The Doctor's own mortality stares him in the face as Wilf pleads with him to restore Donna's memories of her time-travelling adventures. The Doctor's psychotic nemesis the Master stands between the Immortality Gate as he prepares to transmit his biological code across the planet. The Doctor begins his goodbye's through time, ending with his first meeting with Rose. Wishing all our readers a very Merry Christmas.